Santa is Here Brainerd 2018! Come get your photo taken with Santa during the Franklin Arts Holiday Open House! 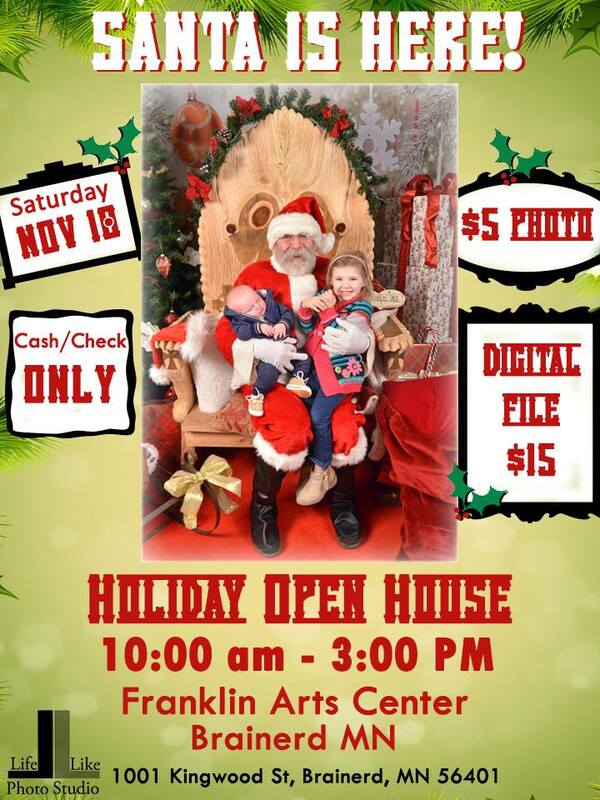 Photos with Santa are only $5 and you will receive a 4×6 print on the spot! Or for $15 receive the digital file so you can use it for cards, prints, Facebook, etc. 10AM – 3PM Inside the main doors of the Franklin Arts Building.